Gotham Academy #6 teaches Olive and the readers a little more about Olive’s mum and reveals a secret about Arkham Asylum. Previously in Gotham Academy #5: The Langstrom virus came to Gotham Academy! 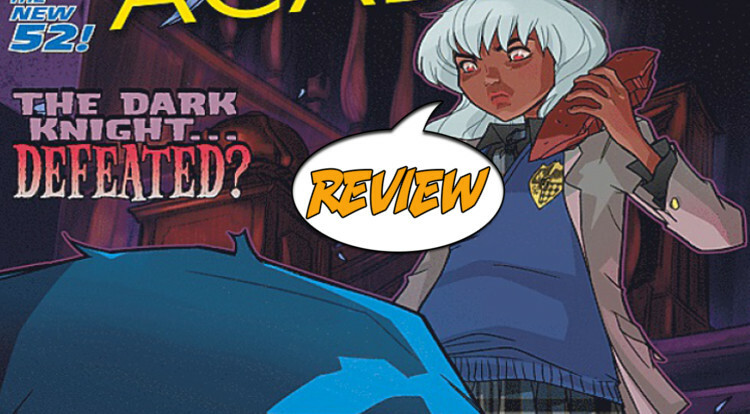 Gotham Academy #6 deals a lot with the mystery of Olive and her maternal parentage. 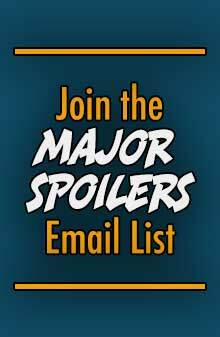 Writers Becky Cloonan and Brenden Fletcher have been dropping hints about what happened to Olive’s mum and why she spent time in Arkham Asylum and may or may not have known Killer Crow during her incarceration. 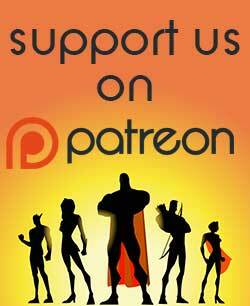 There is a little bit of pay off in this issue tied in with the promise of more Batman appearances to come. Batman and Killer Croc are in the middle of a fight when Gotham Academy #6 opens and all the kids have a good sense to take shelter except for Olive. She is determined to stand her ground and lay accusation at the feet of the caped crusader even as her life is thrown into imminent danger. There have been several scenes throughout the series where Cloonan and Fletcher allude to the fact that he was involved in the death of Olive’s mum and although there is not much light shed on that, it’s interesting to watch such a small, young girl questioning the morality of giant Batman. Cloonan and Fletcher shine a light of heroism on Killer Croc in Gotham Academy #6 as they have been doing throughout the series. Giving this character the chance to highlight the good qualities he is carrying around has truly allowed this book to come into its own as something wholly separate from the Bat-titles as whole. By the end of Gotham Academy #6 Croc is essentially out of the picture with the implication that Olive will be allowed to flourish into her own as our protagonist and as a mystical being in Gotham. 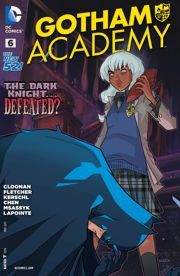 The b-plot of Gotham Academy #6 focuses on Millie Jane Cobblepot – who has been a tertiary character in the series for some time now – and the revelations that Olive and Pomeline have had in doing a school research project. The information the pair of frienemies have gleaned from reading Millie Jane’s diary not only carry dangerous implications about the history of Gotham Academy itself (and its founders). This, of course, has dangerous implications where Olive’s mum is concerned and Olive herself. During her encounters with Batman and Killer Croc in Gotham Academy #6 they both remark on how like her mother she is – all the way down to her telekinetic abilities of questionable origins – which begs the question, are Cloonan and Fletcher foreshadowing a bitter end for our young heroine? 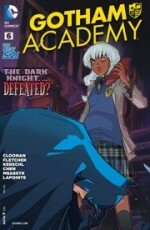 Gotham Academy #6 closes with the promise of Damian Wayne joining the cast of the book. 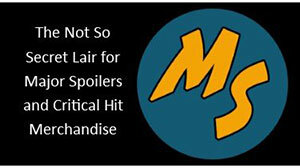 This wold have been a cooler revelation if DC hadn’t already dropped an announcement on the same subject. Hopefully this doesn’t mean that Maps will be pushed by the wayside in favour of Damian because Maps didn’t feature much in this issue and she’s a much more interesting character. Mingue Helen Chen joins the amazing Karl Kerschl to fill out flashback and a story taking place at the same time on another part of the Gotham Academy grounds. Both artists have very clean and polished, utterly stunning, styles that complement each other, while respecting the scope of time periods that Gotham Academy #6 spans. Chen takes a lot of design cues from Kerschl in her design of Olive’s mother. The end product is like looking into the leading lady’s future and if she is going to share it with her maternal parent then Chen is also forecasting danger. She also does a great turn at Bruce Wayne and Damian, softening both characters from the way they are traditionally rendered in their own book, though at no point are they any less stunning. The colouring team on Gotham Academy #6 also deserves a lot of credit for subtly informing readers that we are in a new place and a new time. The scenes of great danger are touched with blue indicative of cold and uncertainty. Moments of hope, brief though they are, feature a lot of yellows. As always, Gotham Academy #6 is a beautiful, beautiful issue. Gotham Academy #6 has very carefully built up its own mythology by building stakes from issue to issue. This issue features one of the biggest conflicts yet and is really beginning to reveal how far back the dangers these kids are facing down can reach. DC’s at its best here.